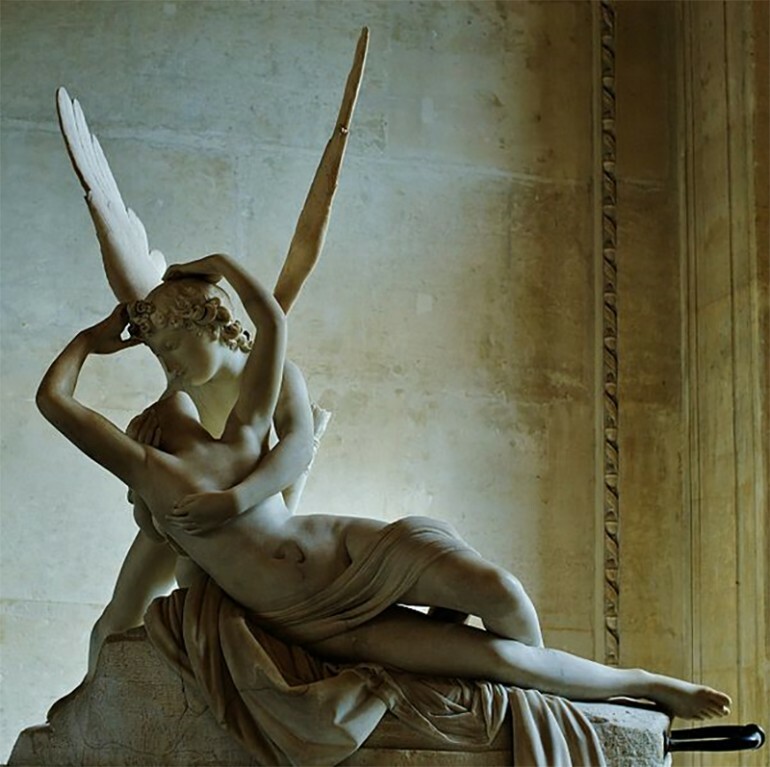 Italian neoclassical sculptor Antonio Canova was born on November 1, 1757 in Possagno, Venice. He was a prestigious artist who was known for his exquisitely beautiful sculptures in marble. He’s regarded as the greatest among the neoclassical artists of his time, and his works were inspired by Baroque art movement and by the classical revival without the melodrama and cold artificiality of these two movements. Antonio Canova’ father was a stone cutter but he died when Antonio was still young and he came under the care of his stone mason grandfather who owned a quarry. He was also a sculptor who specialized in low reliefs and altars that contained statues done in the style of late Baroque, and it was him who taught young Antonio the rudiments of sculpting. Before he turned 10 he was already carving marble and creating clay models. At that young age he was already able to execute two shrines, even if these were small in size, using Carrara marble. Those shrines still exist to this day. It seemed that his grandfather continued to keep Canova in his employ. In 1770, at the age of 13, Canova became a two-year apprentice to Guiseppe Bernardi. Following that he received art lessons from Giovanni Ferrari until he enrolled at the Accademia di Belle Arti di Venezia for his formal art lessons, where he won several awards and was even given by the local monks his own workshop within their seminary. In 1775, he was commissioned to create statues of Eurydice and Orpheus for the garden of Senator Giovanni Falier located at the senator’s villa in Asolo. He completed the statues, which were examples of the late Rococo style, after two years. Before they were installed in the garden they were first exhibited at the Piazza S. Marco during the Feast of the Ascension. The pieces received high praises, which started his fine reputation among the elite in Venice. Canova was only 22 when he established his own studio. During that year (1779), he received a commission from Procurator Pietro Vettor Pisani to create a marble statue, his first as an established artist. The client wanted him to make a statue of Daedalus and Icarus, which later earned him a lot of admiration when it was exhibited at the annual art fair. 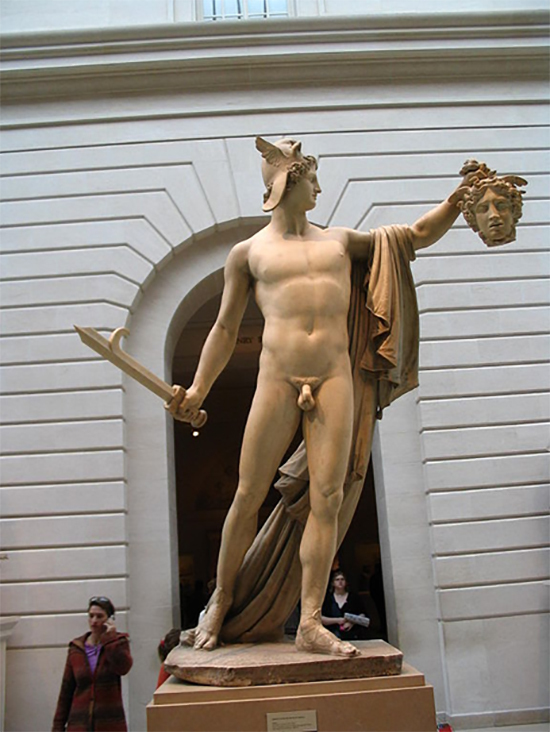 Daedelus in Greek Mythology, was a very skillful craftsman, and in Canova’s work, he showed some tools belonging to Daedelus at the base of the statue, perhaps to pay homage to his grandfather as well. A year later, at the age of 23, Antonio Canova went to Rome. Before his departure, friends of his applied for a pension from the Venetian senate and he was given a stipend of three hundred ducats for three years. In Rome, he sketched and studied the sculptures of Michelangelo. While still in Rome, Canova received a commission to create Theseus and the Minotaur from the Venetian ambassador to Rome at that time, Girolano Zulian. Canova depicted Theseus as a victor, sitting on the body of the dead Minotaur. People who initially saw that statue thought it was a copy of an original Greek work, only to find out that it was a recent work. It could be viewed in London, at the Victoria and Albert Museum. He also created several funerary monuments such as the one for Clement XIV for the Church of Santi Apostoli, for Clement XIII and for Titian, although this was abandoned for some reason. At this time, Canova also started to spend more time painting. Starting in the early 1780s, Canova produced several works, including The Penitent Magdalene, Tomb of Duchess Maria Christina of Saxony-Teschen, Hebe, Cupid and Psyche and Hercules and Lichas. He was Europe’s most celebrated artist in the 1800s, further boosting his reputation by the publication of engravings of his many works and making plaster casts created in his workshop into versions in marble. His patrons came from Holland, Austria, Poland, Russia, England and France, as well prominent people and members of royalty. He created several pieces for Napoleon and his family, who were also his patrons, including a private piece wherein Pauline Bonaparte was depicted as Venus Victrix and Napoleon depicted as Mars the Peacemaker. He was appointed as the ‘Inspector-General of Antiquities and Fine Art of the Papal State’ in 1802. This post was formerly assigned to another celebrated artist, Raphael. He started to carve the “Three Graces” in 1814 and also received several important designations. Venus Italica was completed in 1819. Other notable works were the group Mars and Venus, the huge statue of Pius VI, Count Cicognara, St. John, the Pietà, George Washington (commissioned by the State of North Carolina) and the equestrian statue of Ferdinand VII in Naples. Prior to these were other exemplary sculptures, such as Psyche Revived by Cupid’s Kiss and Perseus Triumphant. Antonio Canova never married so he did not have an heir. When he died, his memorial service was grander than the one Florence gave Michelangelo.